TAMPA BAY, FL--(Marketwired - Nov 10, 2015) - Itchiness, burning sensations, and other symptoms affecting the eyes may not simply be allergies and they may not go away quickly. In fact, those symptoms may indicate dry eye syndrome, an extraordinarily common eye condition that affects millions of people every year. There is no cure for dry eye syndrome (also known as ocular surface disease), and the condition is chronic; however, there are a number of treatment options available that can reduce symptoms and the effects dry eye syndrome can have on one's daily life. Dr. Michael Manning, an eye surgeon in Tampa and the St. Petersburg area, says a procedure called LipiFlow® is one of the most advanced and effective options at Gulfcoast Eye Care for patients with certain types of dry eye disease. According to Dr. Manning, there are two major types of dry eye syndrome: evaporative dry eye and aqueous-deficient dry eye. Evaporative dry eye is the most common, and is typically caused by meibomian gland dysfunction (MGD). This condition occurs when the glands inside the eyelids become blocked and are unable to produce the oily layer of tears in the normal way. Aqueous-deficient dry eye is characterized by inadequate water production in the tears. Although less common, Dr. Manning says this type of dry eye syndrome still affects a large number of people. While the causes of dry eye disease can be due to a number of additional factors, including low-humidity environments and even certain medications and health conditions, Dr. Manning says procedures such as LipiFlow® can often help patients successfully minimize common symptoms such as redness, irritation, the feeling of a foreign object in the eye, and excessive tearing. LipiFlow® Thermal Pulsation Therapy involves the combination of heat and massage techniques to break up oil deposits in the meibomian glands and create a normal flow of oil in the tears. Dr. Manning says the in-office procedure is typically very quick, and patients usually do not require any downtime after treatment. Gulfcoast Eye Care was the first center in the Tampa and St. Petersburg area to offer LipiFlow®, and Dr. Manning himself underwent the procedure after he began experiencing the symptoms of dry eye disease. While the treatment is not a permanent cure and will likely need to be occasionally repeated to maintain results, Dr. Manning says studies have shown that LipiFlow® can be more effective than other dry eye treatment options, such as tear replacement ointments or medicinal eye drops. "I have been very pleased with my results and find that my dry eye symptoms have been dramatically improved. I believe that having the LipiFlow® treatment performed periodically will be very helpful at maintaining the health of my meibomian glands throughout my lifetime, and I have recently been considering having this treatment performed approximately every 2 years or so just to keep my oil-producing glands functioning well." Dr. Manning says each patient is unique, and the best treatment option for some may not be ideal for others, depending on the mildness or severity of the condition. He advises individuals who believe they may be suffering from dry eye syndrome to see a board-certified ophthalmologist to have their eyes examined. Dr. Manning notes that dry eye disease can often be mistaken for allergies, and a thorough eye evaluation will be necessary to ensure that the condition is or is not present. 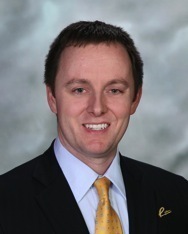 Dr. Michael Manning is certified by the American Board of Ophthalmology and is a Fellow of the American College of Surgeons. He is a member of the American Academy of Ophthalmology, the International Society of Refractive Surgery, the American Society of Cataract and Refractive Surgery, and many other organizations. As the director of Gulfcoast Eye Care in the Tampa and St. Petersburg area, Dr. Manning leads a team of ophthalmologists, laser eye surgeons, and optometrists who offer a comprehensive range of treatments. Options include LASIK laser vision correction, cataract surgery, and procedures to address the effects of glaucoma, diabetic eye disease, and other conditions. Dr. Manning is available for interview upon request. The practice can be reached online at gulfcoasteyecare.com and facebook.com/gulfcoasteyecare.